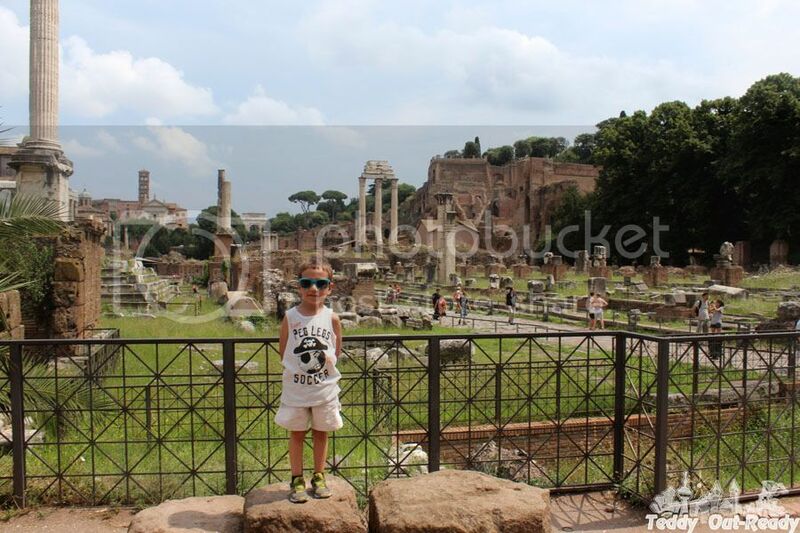 When we think about Rome we always associate the Eternal City with the Colosseum. 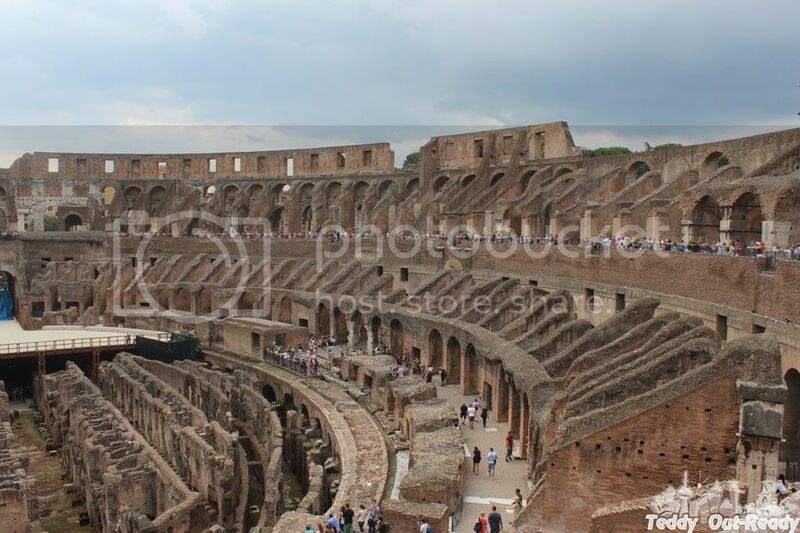 It is the largest amphitheater in the world that could hold up to 70,000 spectators, and was used for gladiatorial contests and public spectacles. 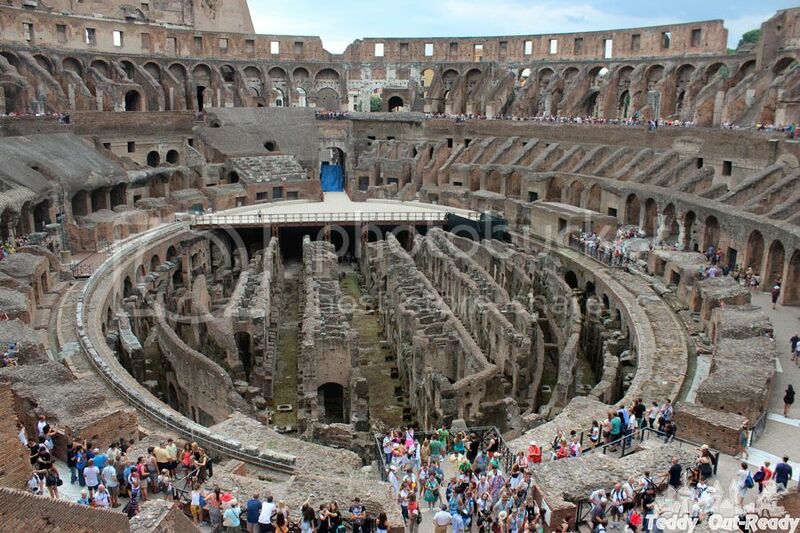 Colosseum is the only major Rome attraction that located right at the subway station. 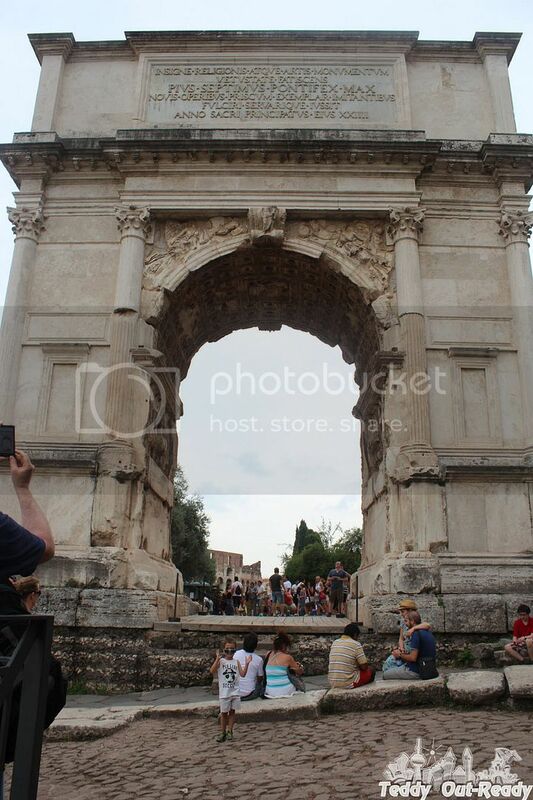 Walk out from subway and enter in another world through the Arch of Constantine. The line to buy ticket to the Colosseum was huge and we used our Roma Pass first time to skip line and reach one of the New 7 Wonders of the World. It was amazing to see it inside and imagine how it looked like 2000 years ago with cheering crowd hungry for gory battles. 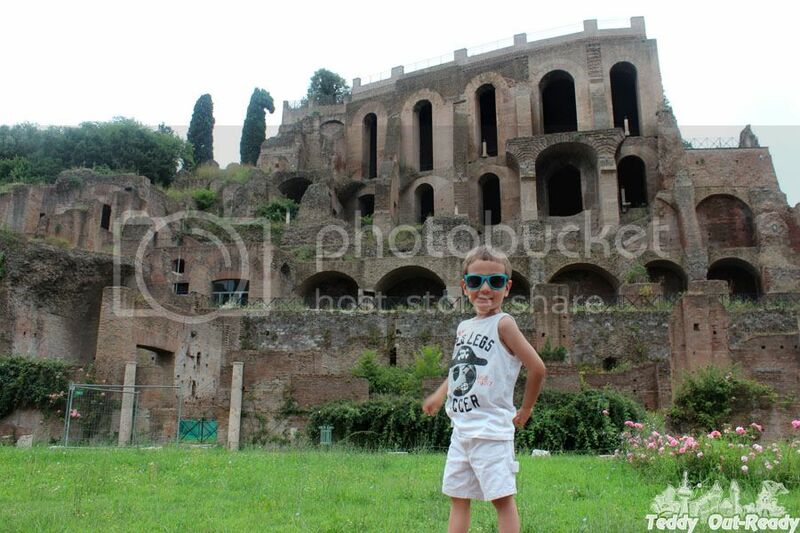 After we walk out of the Colosseum we went to Palatine Hill which is one of the most ancient parts of the Rome. 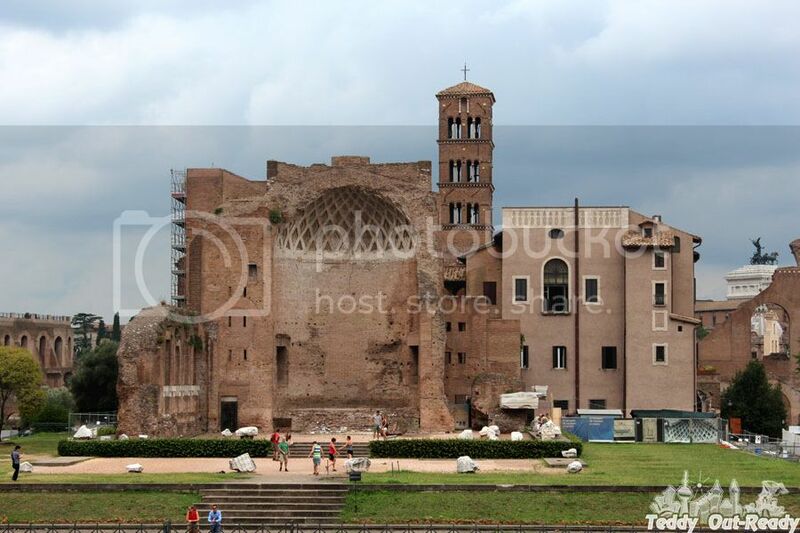 It located between Roman Forum and Circus Maximus and stands 40 meters above them. 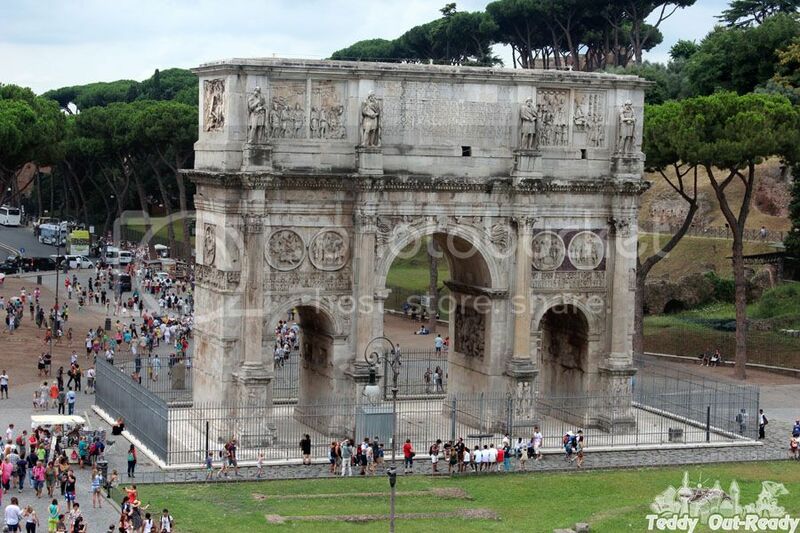 Rome has its origins on the Palatine; people have lived there since approximately 1000 BC. Many affluent Romans had their residences there including several emperors: Augustus (27 BC – 14 AD), Tiberius (14 – 37) and Domitian (81 – 96). 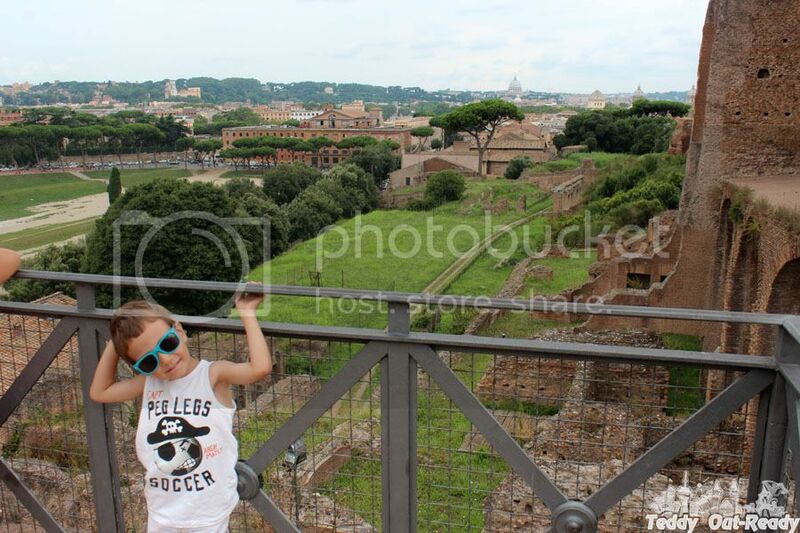 We walked through Palatine Hill to Roman Forum looking at sprawling ruin of architectural fragments with awe and curiosity. 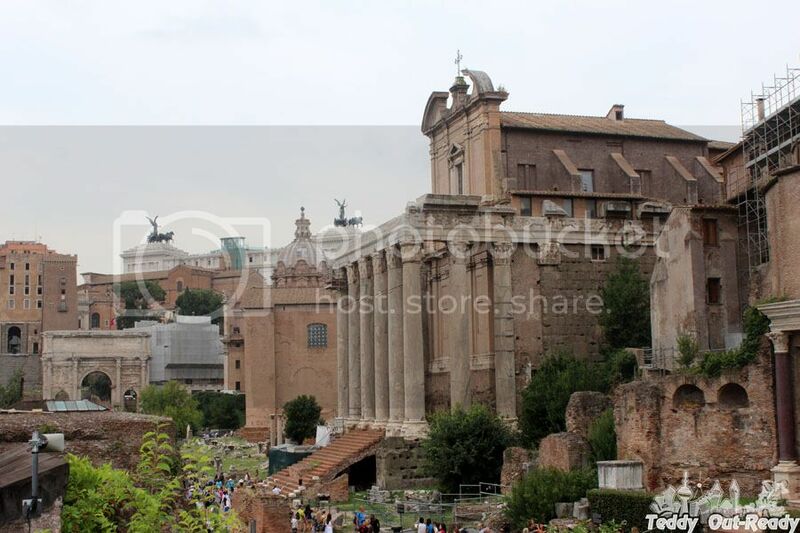 Roman Forum was for centuries the center of Roman public life: the site of triumphal processions and elections; the venue for public speeches and criminal trials. Here statues and monuments commemorated the city's great men. 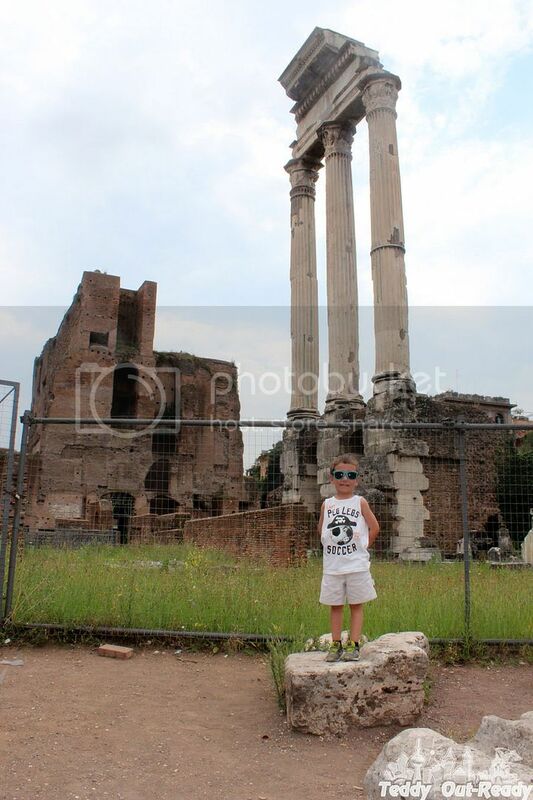 Every stone there keep a memory of ancient Rome’s live for centuries. 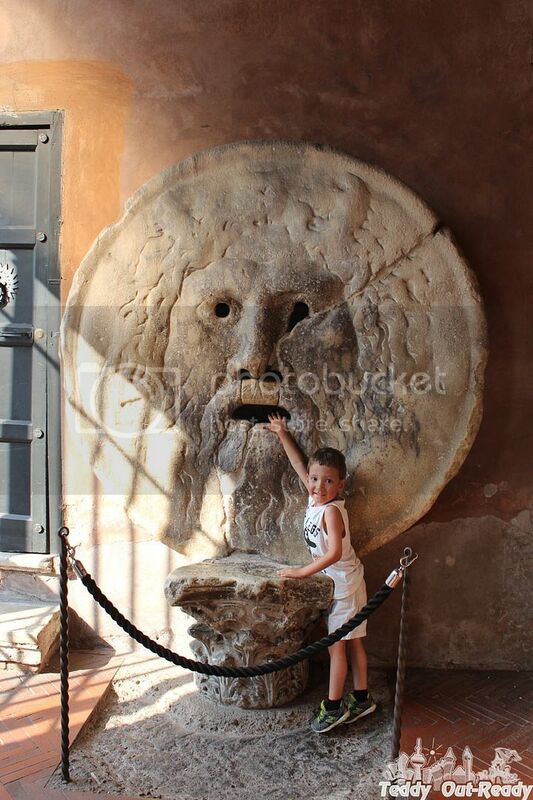 We like the “Roman Holiday” movie and couldn’t skip La Bocca della Verità (the Mouth of Truth) that located in the portico of the church of Santa Maria in Cosmedin. It is an image, carved from Pavonazzo marble, of a man-like face which most Romans believe represents the ancient god of the river Tiber. The most famous characteristic of the Mouth is its role as a lie detector. Since the Middle Ages, it was believed that if one told a lie with one's hand in the mouth of the sculpture, it would be bitten off. Surprisingly it was about 20 people in the line and we had to wait our turn. Teddy was afraid to put his hand it the Mouth of Truth at the beginning, but then did it - telling us that he is not a liar and nothing will happen with his hand. It was fun. 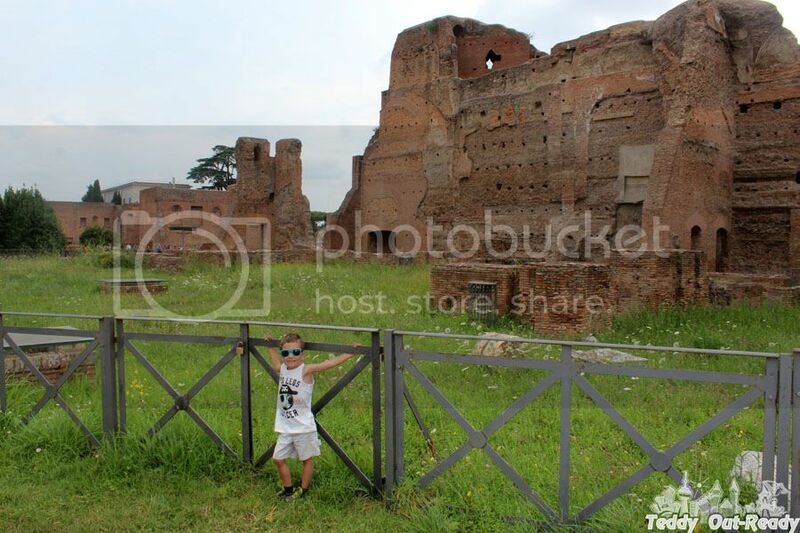 On the way home we walked along Circus Maximus - the first and largest stadium in ancient Rome. The site is now a public park and a lot of people walk their dogs there. 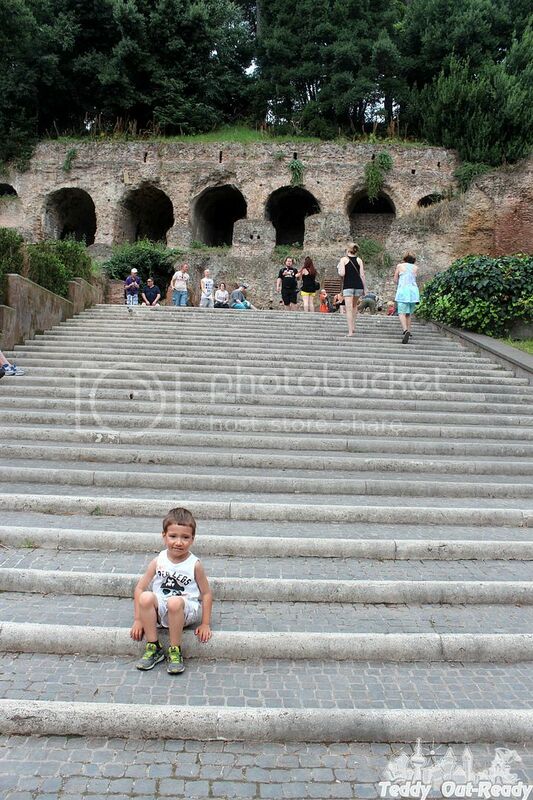 It was the end of the day spent in the heart of ancient Rome. We were dissolved in the ocean of history and felt great. We had to finish the day with glass of wine on our hotel’s patio. 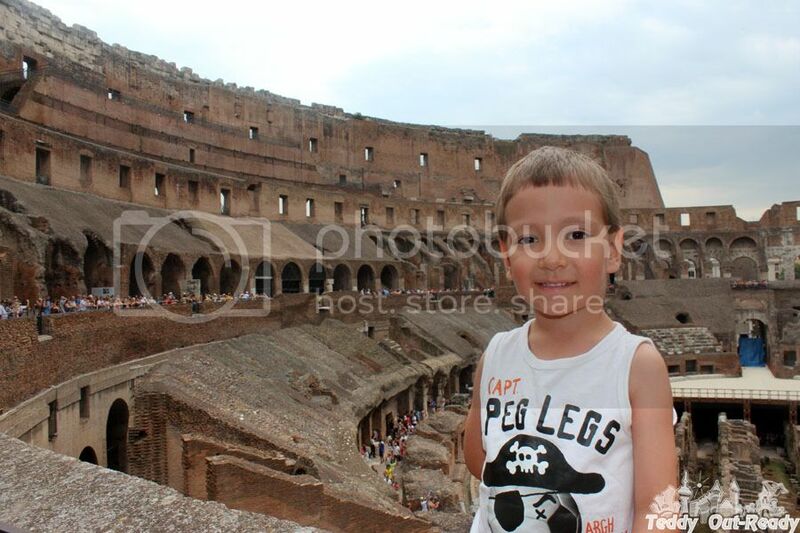 Teddy had his chocolate & vanilla gelato and played with gladiators we bought in Colosseum’s store.